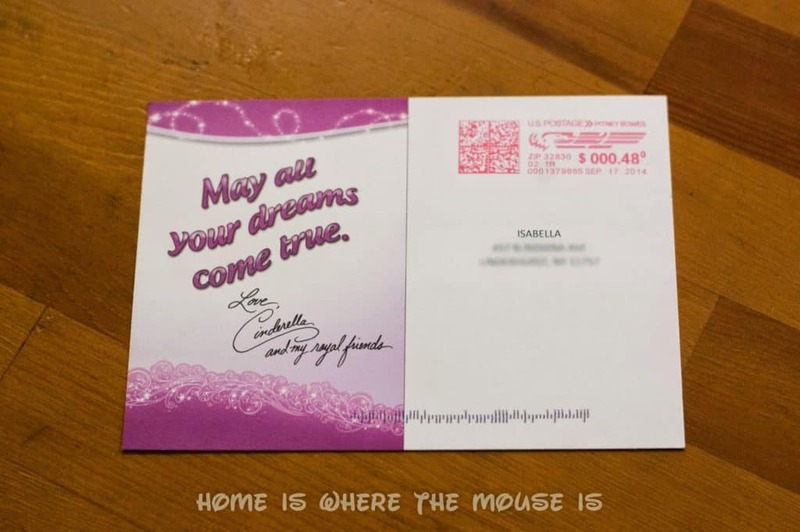 Home » Disney » Disney Character Calls and Letters – Fact or Fiction? What kid wouldn’t want a Disney character to call or write them? I know my kids would love it. There are a variety of different ways out there to make it happen, or so we think. Unfortunately, many of the ways being advertised are not always reliable. So to give you the best information out there, we decided to do a little investigating. Here are 6 different ways your child could be contacted by a Disney character and whether or not it works. A few years ago, you could celebrate your child’s birthday with some of their favorite Disney pals. Unfortunately, they no longer offer phone calls. If you stumble upon the old page, clicking the sign up button just takes you to the Disney Junior main site. But, if your child is turning between 2 and 7, they can have an interactive “birthday party” with Disney Junior characters online! It’s not as cool as getting a phone call from Mickey, but fans of Mickey Mouse Clubhouse, Sofia the First, Jake and the Neverland Pirates, or Doc McStuffins might enjoy it. They can send invites, choose a cake, play birthday bubbles, blow out their candles, and for a present, they get printable activities, so have your printer loaded and ready. This information is current as of January, 2018. 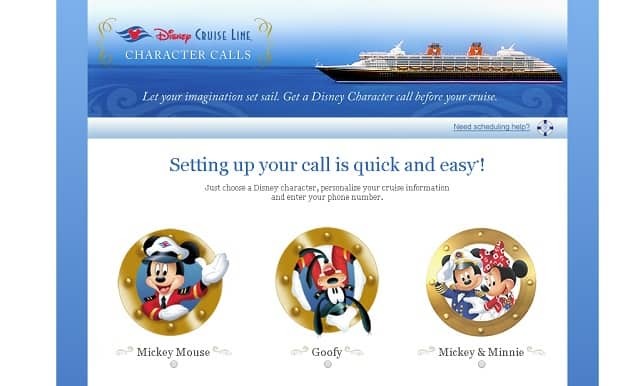 Guests sailing on Disney Cruise Line are entitled up to 2 phone calls from a Disney Character. Simply log into your reservation and click on the link to request your call. Did this work? This is something we tried when before we sailed on the Dream in 2012 and I am happy to say it worked!! Update as of January, 2018: It’s been a while since we’ve done it, but the links are still there. We don’t have a valid reservation to test it, though. If you’ve booked a cruise, give it a try! 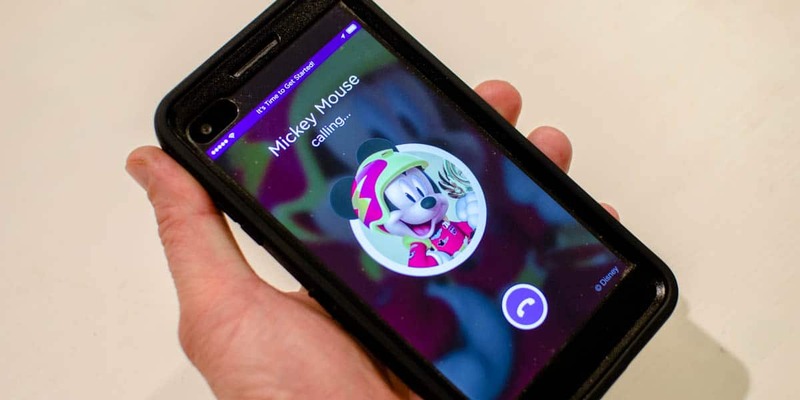 Disney Enchanted Calls was a paid call service that is no longer active. I think it was through the same system as the Disney Cruise Line calls. When it was working, you could get a call customized for a number of different occasions for a fee of $2.49. We tested it back when we first wrote this article and Bella enjoyed getting her call. 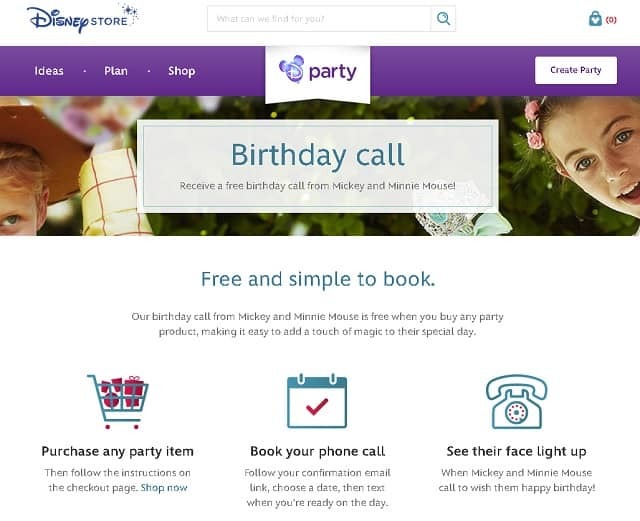 But, if you live in the United Kingdom, you can get a character call by purchasing party supplies from the Disney Store there. We obviously can’t try this out for ourselves, so hopefully one of our readers from across the pond will chime in and let us know if this works over there. 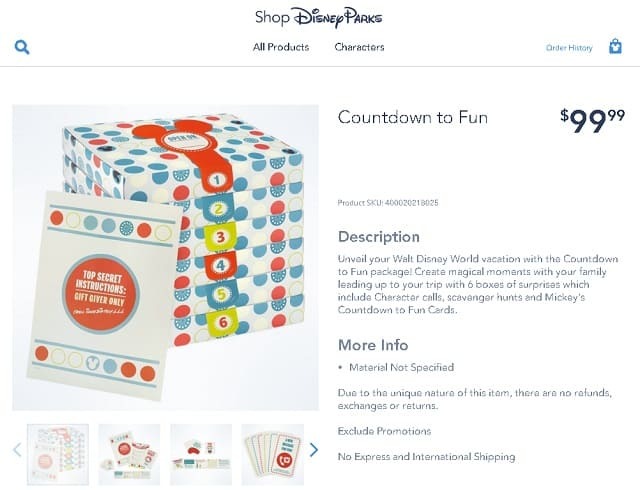 For U.S. customers, you can purchase Disney’s Countdown to Fun for $99 which is a scavenger hunt countdown/reveal for your upcoming Disney vacation. Included in the fun are codes for character messages over the phone as you go. These are the only way to pay for a character call that I know of at the moment. Have a child who is potty training? Maybe a Disney character can offer them some encouragement. Pull-ups is offering some help in getting your child to take Potty Breaks. 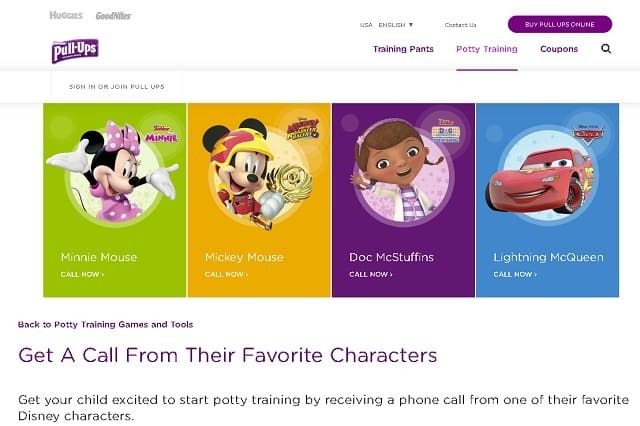 Follow this link to select from Minnie Mouse, Mickey Mouse, Doc McStuffins, or Lightning McQueen to “call” your child. Did this work? Yes it did! But it works differently now. Back when I scheduled this call for my son, it was an actual phone call. Now when you choose your character, it opens a youtube video that looks and sounds like a phone call. It works when you do it on your phone and have the video full screen. On a laptop, not so much. Still, I think it is very cute and a great way to motivate your child during potty training time. If you text Princess to 33992, you will receive a call from a Disney Princess. Did it work? Nope! This was something that Target was doing a while ago. Sadly, this pin is still circulating around Pinterest which prompted me to try it. Recognize this picture? It has been all over Facebook and Pinterest for a while now. Have your child write a letter to their favorite Disney character and they will write back. Send your letter to the address above. Did it work? We decided to try this one out too. Here is our daughter writing her letter to Princess Aurora. 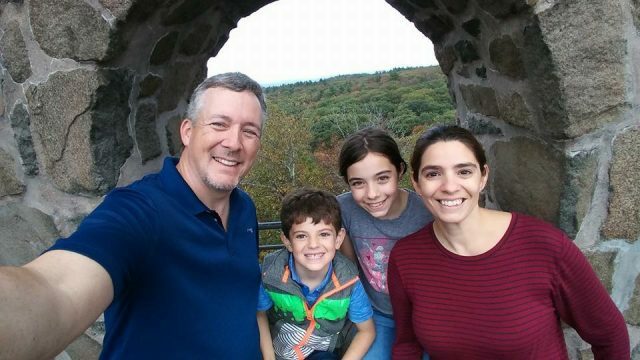 Update 9/24/14: After nearly 8 weeks of waiting, we received a response!!! 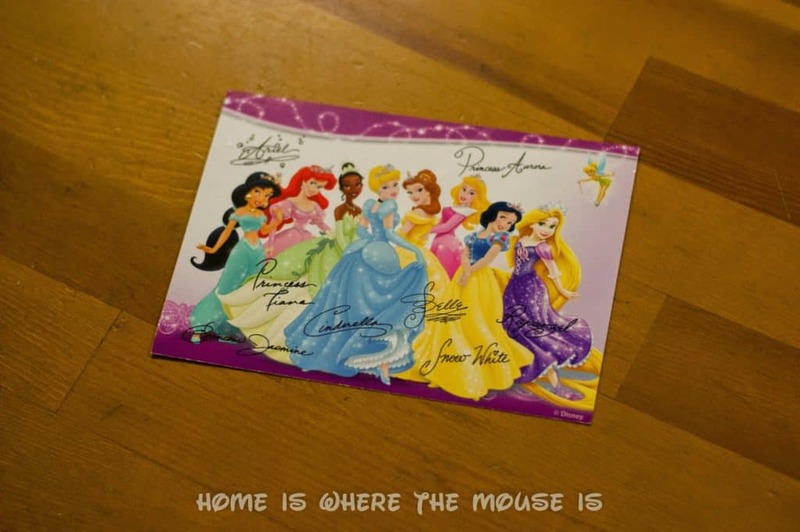 In the mail was a postcard from the princesses! You will receive a postcard back, but not necessarily from the character you choose. Our results were the same as our friends at Mousekatools. We originally wrote that postcards will take 4-6 weeks to be sent to your child, but ours took more like 7-8 weeks. Tell us, have you ever tried one of these ways to contact your favorite character? Did it work? I have had the Disney Jr birthday call before! It was great! We have also sent and received letters! I need to look into some of these others. Thanks for the info!! I'm just wondering for your anyone who has sent a letter other then the cost for postage, do I need to pay for the Autographed post cards? My niece did this as a gift for her little cousin and someone else (Ok.. me) for Christmas. She sent a self-addressed stamped envelope around Nov 2013, and she finally received them in March. I dont think you'll get them from a specific character. The one for her cousin had 3 princesses on it. The one she got for me was Mickey and friends (she asked for Mickey). This is such fun! I do hope you get your birthday call in January! The letters used to work but I guess there have been so many individual character requests they can't keep up.with the magic. I love waking up to the character voices when we're in the resort or on the ships. I have been all over the Disney Junior site & can NOT find a log-in ANYWHERE……I couldn't find a link to create an account–let alone sign in to one…..HELP!!! You're right. It's not as easy as it should be. 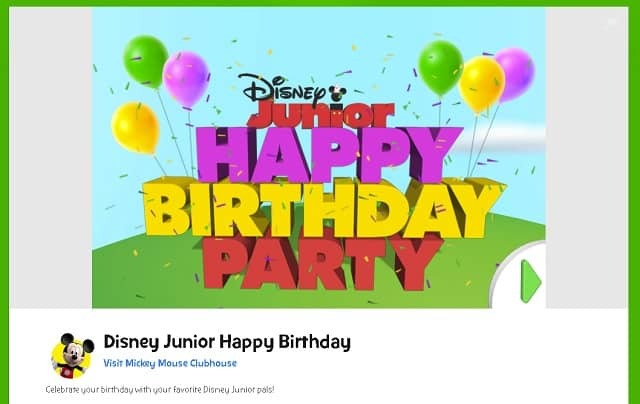 I had to google Disney Junior Birthday Calls and I came up with this link, https://disney.go.com/disneyjunior/print/?id=1942379 , I hope this helps. If not, let us know! The link Lisa provided only takes you to the Disney Junior home page. There is no place to sign up for an account…anywhere! Same here! And the link Lisa Cameron provided only takes you to the Disney Jr home page. Still need help from someone please. We apologize for all the trouble. The link I posted to help originally linked to a page to let you sign up. It appears that it now goes directly to the Disney Junior Homepage. I goggled again and that same link came up.When I clicked on it,it went to the home page. It's possible they have discontinued this project. I'm looking for more information and will get back to all of you when I have some helpful information. Thanks for your patience! Thanks for the tip! I'm sure we have readers who are both Nickelodeon and Disney fans! Did birthday call last month my kids love it. We've been waiting for two months for a Disney character to send a post card back to our daughter. She often asks us if we've gotten anything, and we have to tell her we have not yet. Sad. She's looking forward to thanking (Ariel) when we get to Disney in December (2014). Right now, all The Little Mermaid can anticipate is an extremely angry tongue-lashing from a very disappointed little 11-year-old girl. We're hoping some magical mail comes her way soon! Just updating to let you all know that we have not received any response from writing to the Burbank address. We may try it again. My daugjter had written to numerous disney characters and I had sent some to FL and some to CA. All of them were 8×10 photos – some actual b&w pics of “real” princesses in costume, mickey and minnie, the whole ‘main’ gang and others were cartoon prints – such as Ariel. Some of the combos were actually original requests for one character, however the ‘real’ b&w photos of real people in costume were worth it! They all included pre printed postcards that is sounds like others are receiving and stickers as well – not necessarily related to the character written to. This was back around 2009-2011 – so I am thinking that though the internet has great tips, since it allows for so many people to find out ‘secrets’ like this, they have gotten overwhelmed with too many requests. 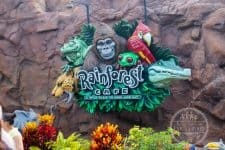 Similar to when you go to Disney, there have been secrets, such as secret words you can say to have special reactions, that apparently don’t work anymore due to so many people knowing about. When so many people know, then it causes them to be unable to accomodate every request as before. And to answer other questions, we always only sent a letter of request – they sent their own photos – though I can’t help but wonder if you sent your own photo, it would be signed and sent back by just the individual. Obviously they aren’t real, so it would be easier for someone there to sign and return. I’ve also helped her write to the actual voice actors – some through disney, some through other addresses you can find online. But again, the more requests anyone gets, the longer the wait, the more chance of not getting the response you want… etc… understandable really. If it’s a gift, I recommend writing well in advance!!!! And it wouldn’t hurt to send your own photo and sase for possible better results! Can a Canadian child also send for a postcard? Yes, we know someone from Ontario who received a postcard from the Walt Disney World Communications address in Lake Buena Vista, FL. It works for Canadians as well! 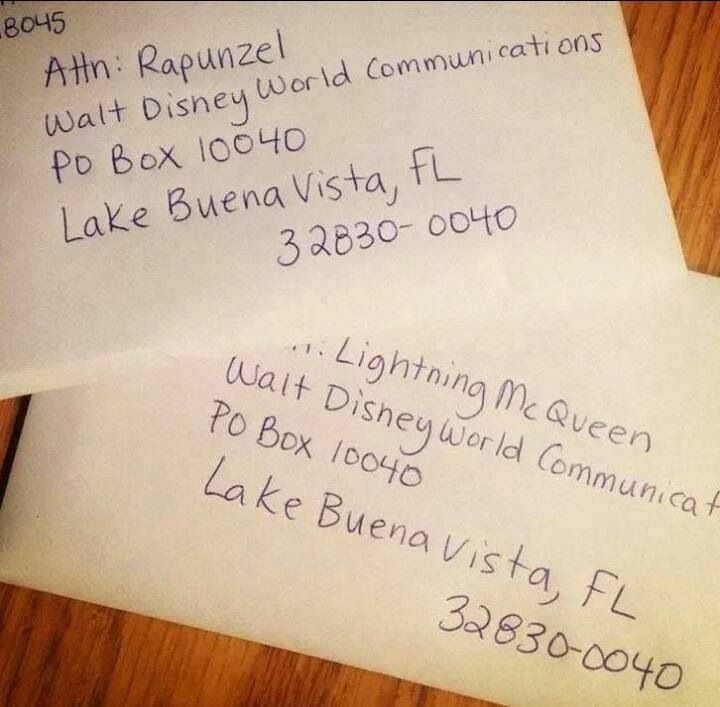 I can only confirm that if you send something addressed to Anna or Elsa, it will come back with a princess postcard. I'm afraid that at this time they only are sending out two types of postcards, Mickey and Friends or Princesses. I am not sure about either but I (I meaning me and a 4 year old across the street) wrote a letter to Elsa and Anna about 3 weeks ago. If we receive something I will be sure to let you know! I would not get anyones hopes up about getting a letter since it sometimes does not work. I read another website about this and they said the sent more than one letter and only one postcard per kid came back so I strongly suggest sending more than one no matter who you write to. Thank you for this! I have pinned some of these and wondered if they work. There is a pi n for a toll free phone number to call Hogwarts castle. It does work and it's hilarious . We're sorry to hear that. How long has it been? Which address did you send it to? It might be time for us to do another test and see if we get a response. Did birthday call last month my kids loved it. I set up birthday calls through Nick Jr and it worked great. I'm mailing my daughter's letter to Elsa tomorrow. Based on others comments I'm thinking about making a Elsa letterhead and envelope and responding in a more timely manner. My daughter wrote her letter back in march 2017 and we have still not received anything. After reading some the comments I hope she’s not disappointed. She wrote her letter to Princess Elena of Avalon. Does anyone know if she is now included with the original Disney Princess now or will it still be the same ones? I’m hoping we get something back soon because her spirits are dropping more and more… my husband is deployed and she asked her how can she learn to be brave while her daddy is gone. So I hope when they respond they make a comment on how to persevere or something. I’m so tempted to buy an autograph Elena one and make my own comment to her and let her know her she is letting her Disney Princess friends know and to expect something in them mail from them… I think that would buy me more time for her and I don’t have to keep seeing the look of disappointment on her face… any suggestions on where I can get a custom made autograph from Elena? Obviously I’m willing to pay. Trying to make this easier on my daughter who is 8yrs old and very much believes in Princesses. Hi Nancy. My guess is that Elena would not be included with the regular princesses. The responses I’ve seen aren’t customized. I’ll take a look around and see what I can find for Elena’s autograph. Thank you for sharing your letter with us. If you’d like Mickey to see it, please write it and send it to the address listed in the post. We hope Wesley had a great first birthday!